Come out to the Microsoft Store at Lakeside Shopping Center and meet some of our wonderful staff members, while you play games on all the Microsoft products! 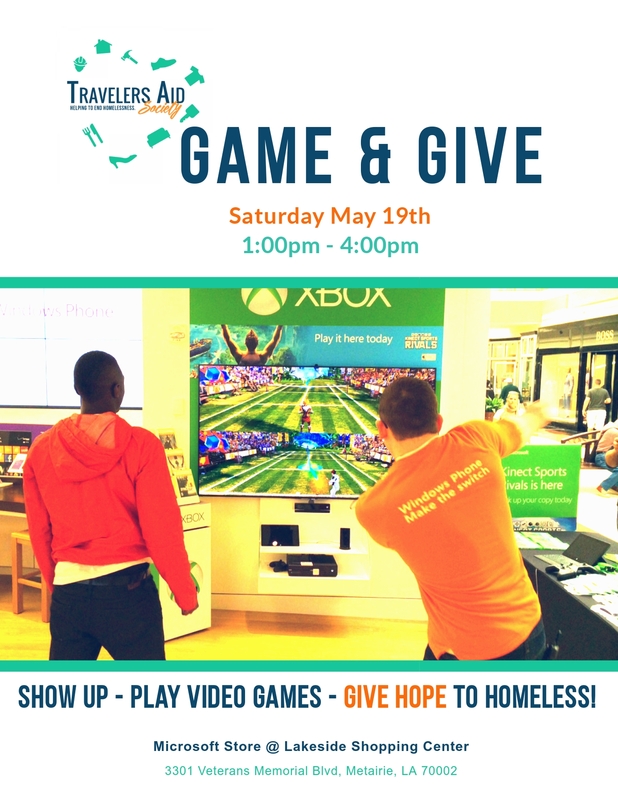 The gaming event starts at 3pm, but Travelers Aid will be there with our table of info from 1pm – 4pm. So, come by, say hi, play games, and please consider donating to our amazing programs! Remember, a little hope goes a long way. Would you like to help us with our mission?